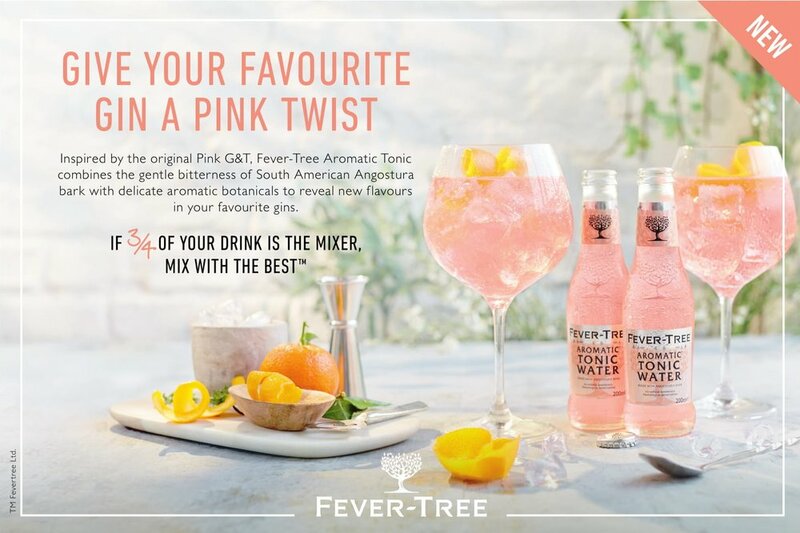 Give Your Favourite Gin a Pink Twist! Aromatic Tonic is perfect for people who choose a more robust tasting, juniper rich gin (we recommend Tanqueray London Dry Gin). The balance of gentle bitterness and sweet spice perfectly complements the warming, juniper rich tones of these typically dry gins. The gentle bitterness of angostura is perfectly balanced with sweet, spicy notes of cardamom, ginger, vanilla and pimento berry. The result is a uniquely refreshing aromatic flavour. The finish is dry and clean with citrus notes. How to make the perfect Gin & Tonic to impress your loved one this Valentine’s Day. Fill a Copa glass with fresh ice. Pour in the measure of gin and top up with Fever-Tree Aromatic Tonic. Run the orange zest around the rim of the glass before dropping it in the drink.